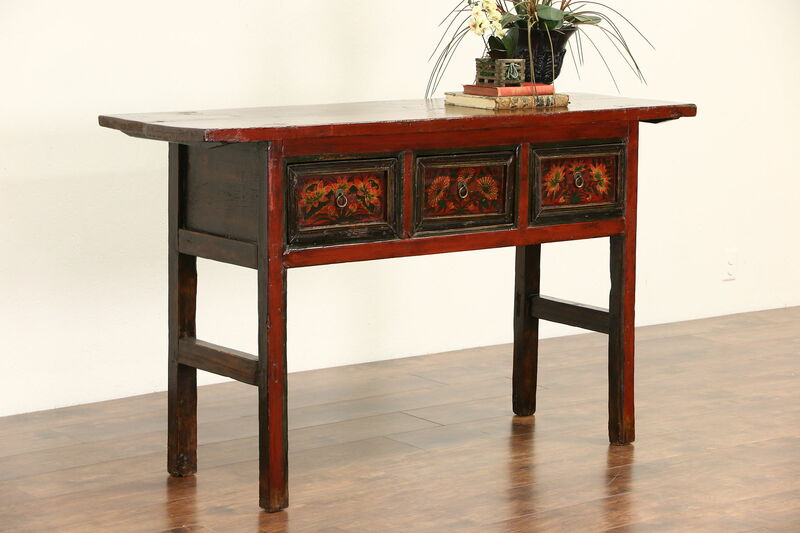 Hand crafted in China around 1900, this console or sofa table has worn original hand painted lacquer. The top has mortised joints on this antique Asian furniture. Hand hewn and planed of mixed hardwoods, a clear finish preserves lots of stains and mars for antique character. Three drawers have hand cut dovetail joints. Size is 64" wide, 18" deep and 36 1/2" tall.